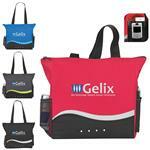 A great trade show bag! 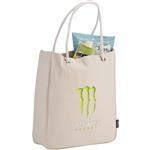 This slim design tote bag allows for easy storage when traveling. 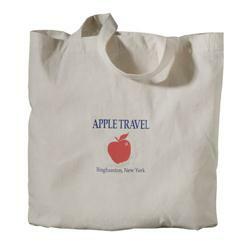 Includes large imprint area - great for displaying multiple logos for carrying at conventions. 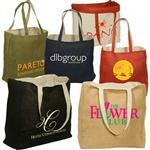 12" handle drop height allows for shoulder or hand carry. FREE 1-DAY RUSH PRODUCTION AVAILABLE! Carton size 15" x 18" x 20"